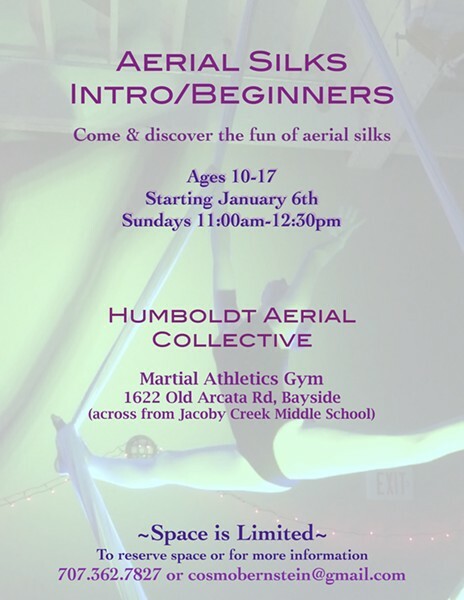 The only Teen aerial class in Humboldt county! Ages 10-17 Aerial silks is an incredibly fun, creative way to increase strength, flexibility, coordination, mental focus, self esteem and so much more. Ongoing class every Sunday. Drop-ins welcome until class is full. Price: $18 or $15 per class when you purchase a month of classes.